We will participate in EMO 2017 - Hannover Messe, 18-23 Sep. 2017. Hall 17 A06. | Corporate Profile | MURATEC,MURATA MACHINERY, LTD.
We will participate in EMO Hannover to be held in Hannover Messe, 18-23 Sep. 2017. We are located at booth number Hall 17 A06. We're looking forward to seeing you at our booth! Quick and Smooth Movements of Gantry Loader, Lighter, More Robust and Originally Developed. 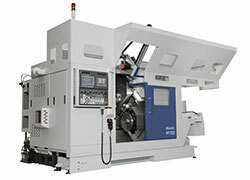 Improved Rigidity and Following Capability for Enhancement of Tool Life and Surface Roughness. 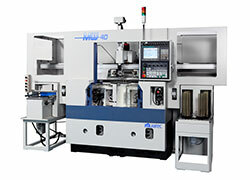 Exceptional Rigidity and High Following Performance of the MW120EX Technologies Now Available with the MW200EX for Processing Large Workpieces with High-Precision and Productivity. 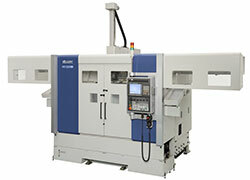 The Newest Machine for Small Workpieces with Small Footprint & Height and Ergonomic Design. 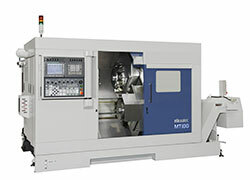 The Latest Development of Velocity-Versatile Spindle and High Speed Swing Type Loader for Short Cycle Time. 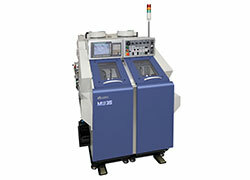 Ideal for Process Integration of Small Workpieces: Maximum Size ø 50 mm, 5 μm ~ 10 μm Tolerance Capability. 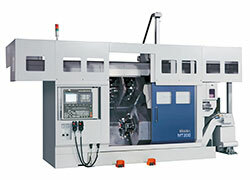 Optional Y-axis and Live Tooling are Available: Face Milling & Cross Milling Head. Integrated Operations by Multiple Turrets with Y-axis and Live-Tool Function on All Turrets. Z-axis and Y-axis are Servo-driven. Easy Access for Pallets or Outlet Devices. 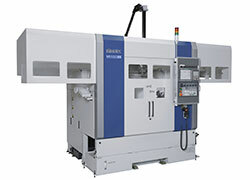 Our Integral, Intelligent 3-axis Gantry Loader Offers Versatile Automation. All-in-One Solution on Chuck Work.